Sustained pressure has convinced a zoo in Indonesia to never again abuse baby orangutan Michael for selfies – AND build him a new enclosure. Kandi Zoo in West Sumatra has announced it will no longer generate extra cash by forcing animals to work as photo props for visitors. In particular that means Michael, a baby orangutan will no longer be handled by countless tourists looking for that picture to share on social media AND he is in line for a new enlarged enclosure as part of efforts to boost animal welfare at the facility in the face of mounting criticism. “It is excellent news that Kandi Zoo are doing the right thing by the animals and ending these photo sessions. Internationally we are seeing the selfie increasingly harming animals as people seek photographic souvenirs without asking themselves what impact that is having on the animals. Use of animals as photo props is adding to the pressures on animals in zoos and circuses, many of which already suffer inadequate facilities or care. Young animals are usually preferred for these shots and many are taken from their parents when still very vulnerable. Just when they should be feeding and forging familial bonds, they are taken away. If poached from the wild, the animal’s parents are likely to be killed in the process. Instead of sleeping or playing with siblings, the baby animals are expected to perform. They are kept awake and unable to rest. It’s tiring, especially for such preciously young creatures. In many cases, more alert animals are considered cuter than sleepy ones, meaning many are roughly handled to ensure they have big cute eyes for that all-important pic. 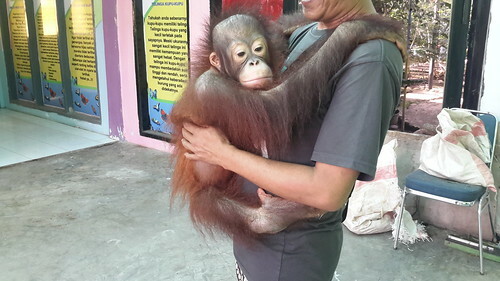 Media and public scrutiny following a concerted campaign by Animals Asia, Scorpion Foundation and Change for Animals Foundation has put Indonesian zoos and circuses in the spotlight. Poorly-fed sun bears at Bandung Zoo drew widespread condemnation when footage of them begging for food went viral earlier this year. 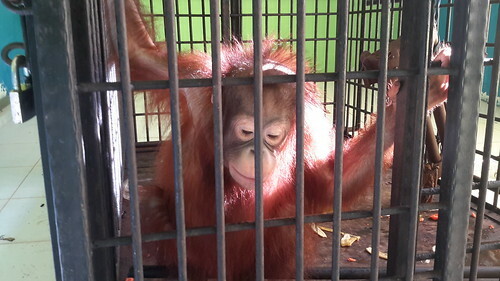 The reaction within Indonesia gives hope that lasting change can benefit all captive animals. In addition, Animals Asia’s “dolphins on a plane” campaign has put the spotlight on the practice of travelling circuses using planes to transport performing dolphins around the country.